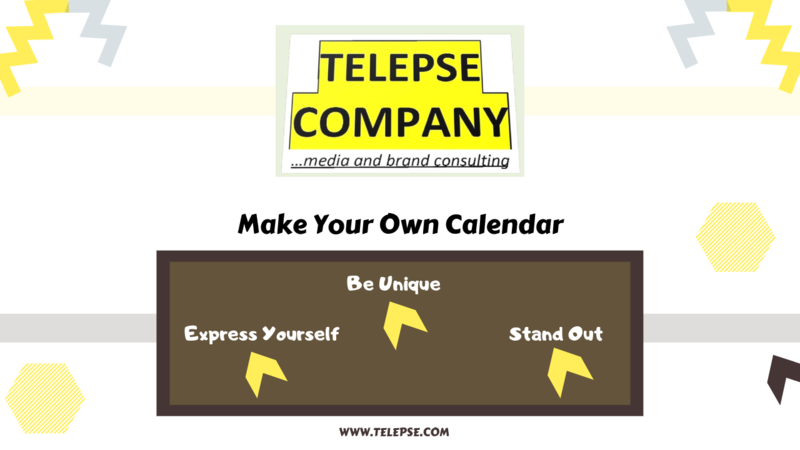 Make your own calendar with a desired picture. 2. Tell us – how many copies you want. 3. Make a transfer of 1000 naira as upfront. Send to Telepse Company (Diamond Bank) 0096655600. 4. Calendar preview with your picture on it, will be sent to your whatsapp, before we print. 5. Pick up your calendar at Gbagada, Lagos, with complete payment. 6. Tell us if you want Home delivery. 1000 naira for Lagos delivery.